The new project has arrived. Not too sure whether it is a good idea to post a picture of the "before", but here it is anyway. You used to be able to pick up something like this for reasonable money, but we paid 4 1/2 grand for this !! Cant believe that I haven't updated this since the end of Nov. I guess that Xmas got in the way. Well we pulled the bike to bits. 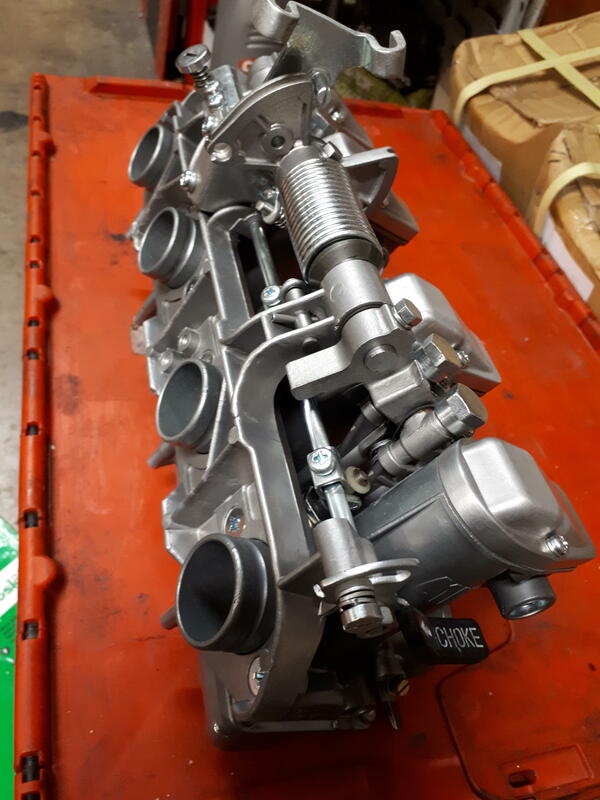 The frame is still away to be put in a jig and checked as true but all of the engine bits and other shiny stuff has been to Steve Smethurst (Steve's Web Site). If you are as sad as us here at Z-Power, picking up all of that cleaned and polished aluminium from Steve is a bit like Xmas - but better. Someone had lock-tighted the exhaust studs into the head - which was nice but Steve sorted this out for us. 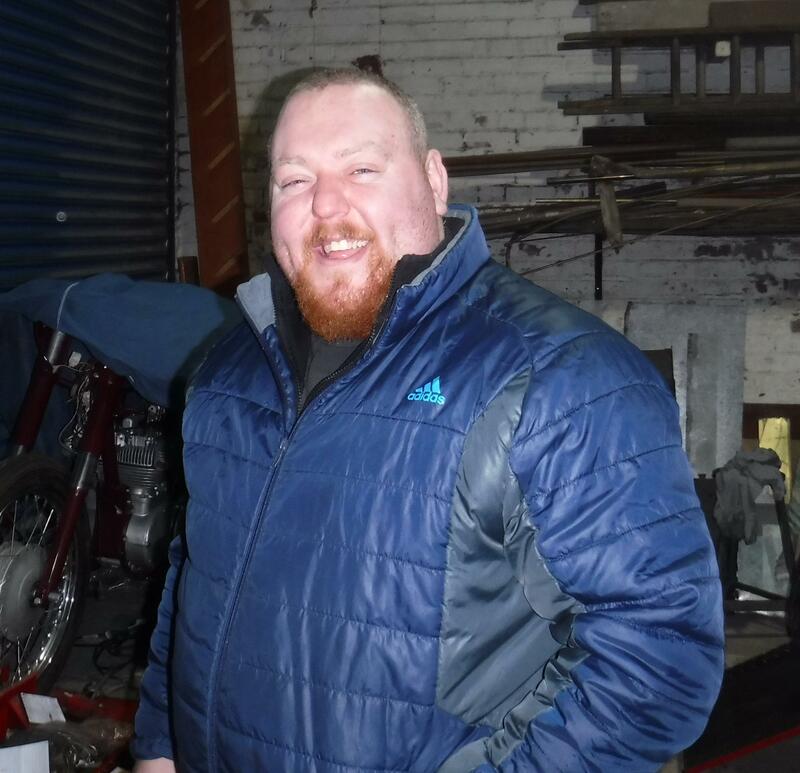 Rather than show lots of engine bits, thought it might be a change to show some of the people that do the work - so here's Dan who does most of the work down at Steve's. 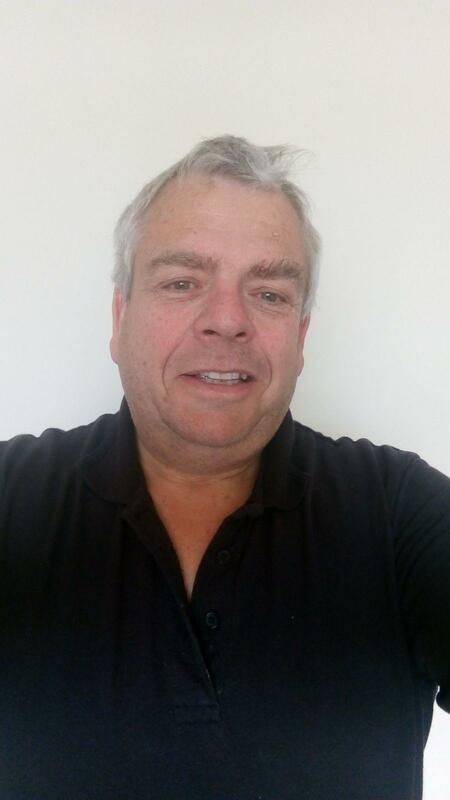 The most common source of oil consumption is the valve guides; Paul will check the tolerance on everything and no doubt re-sleeve the valve guides. 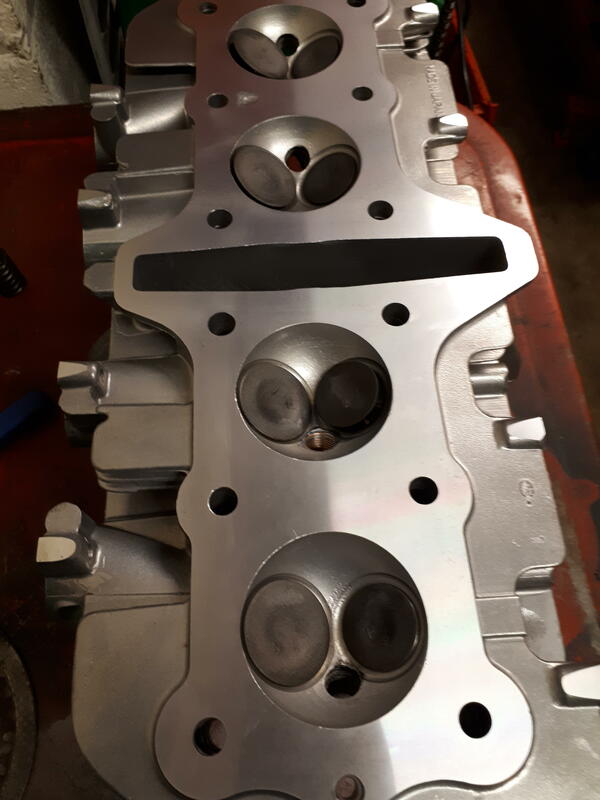 We drop the complete top-end off with Paul (Valves, springs, cams) and he rebuilds the head and returns it to us all shimmed up. 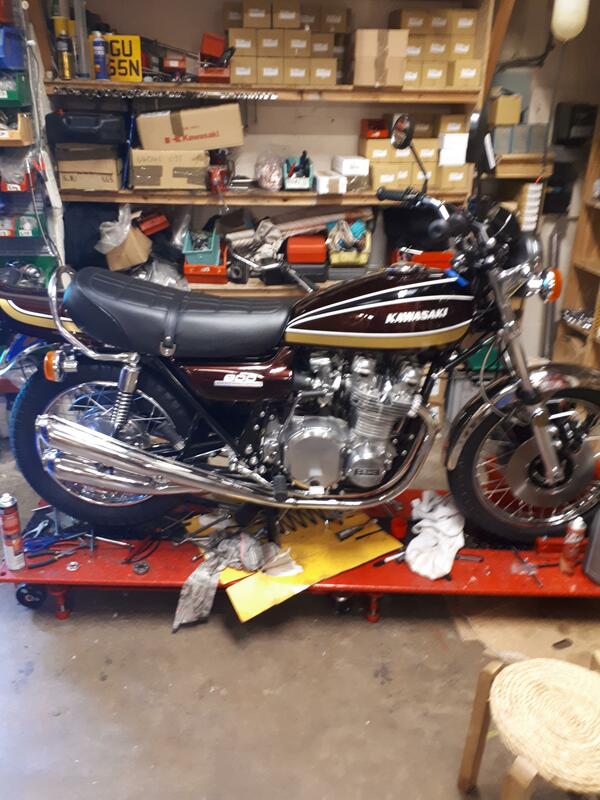 Saves a lot of time and effort (it is impossible to get it spot on until it is torqued down and on the bike so we will check it when build it and usually need to change a few of the shims to get the clearance spot on). We also give him the pistons and barrels to ensure that they are within tolerance also. There was a little damage on one of the side panels so rather than go for a paint job from Dream Machine (the last one was fab) I ordered the paint set (Paint Set) early from Japan last year and it has arrived already. All of the Z! 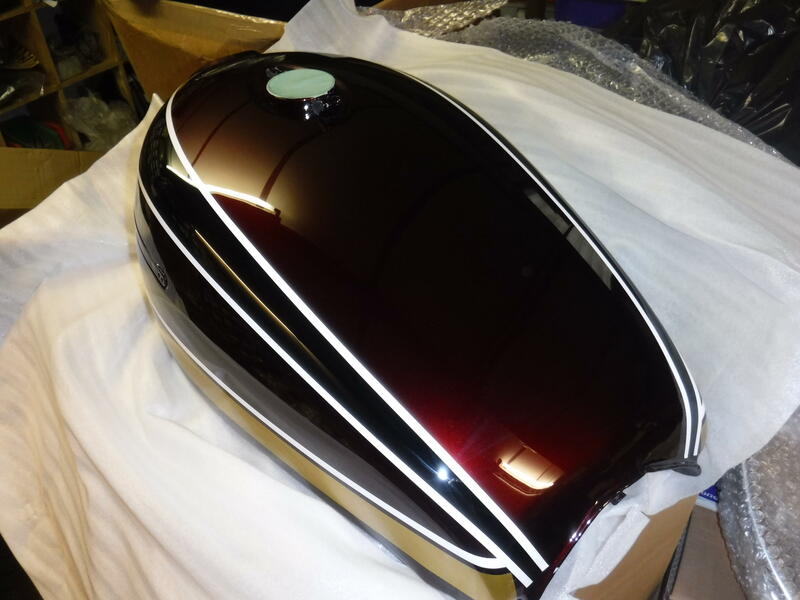 colour schemes are available (sadly not the locking fuel tank ones for the A4/Z1000); the lead time can be a bit long on these sometimes but they must have had a red one in stock, I hope that Phil doesn't find it or he will probably sell it. If you are thinking of going down this route, the quality is outstanding; if you are in the area call in and have a look. On checking the crank cases we spotted a bolt snapped off where the clutch cover goes (one of the most common places with those long bolts always a bit vulnerable). Well it looked like a snapped bolt but closer inspection suggested that someone had attempted to drill out the bolt and snapped a drill in there. At this point we use our "get out of jail" chap and go to see Tony at Pit Stop (Pit Stop web site). 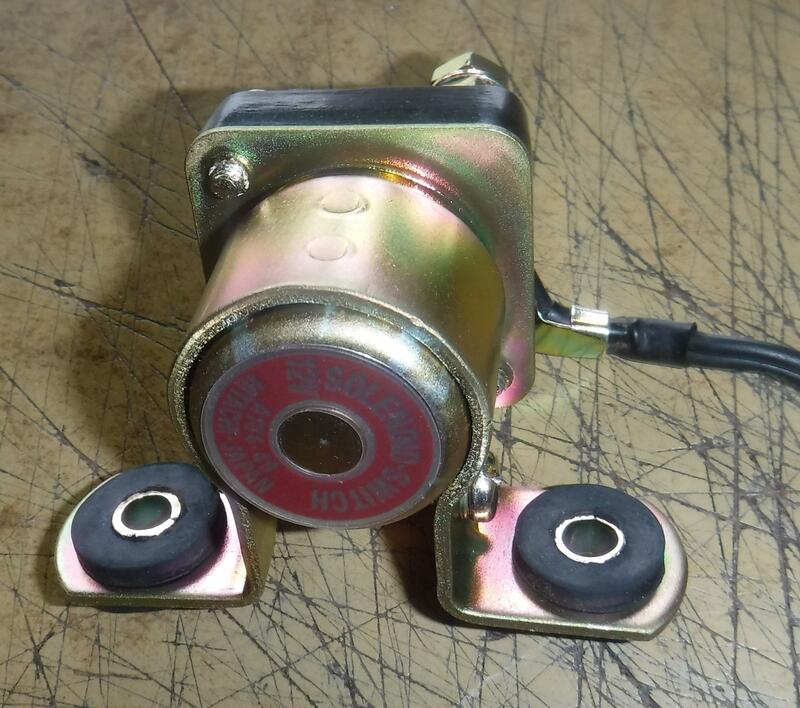 When it comes to stuff like this, we look on Tony as a genius and although he specializes in Yamaha RDs (as evidenced by the couple of RD 400 motors in the background), we don't hold it against him. Dont ask me how he did it, but he has returned them with a new insert. He did this one for me. 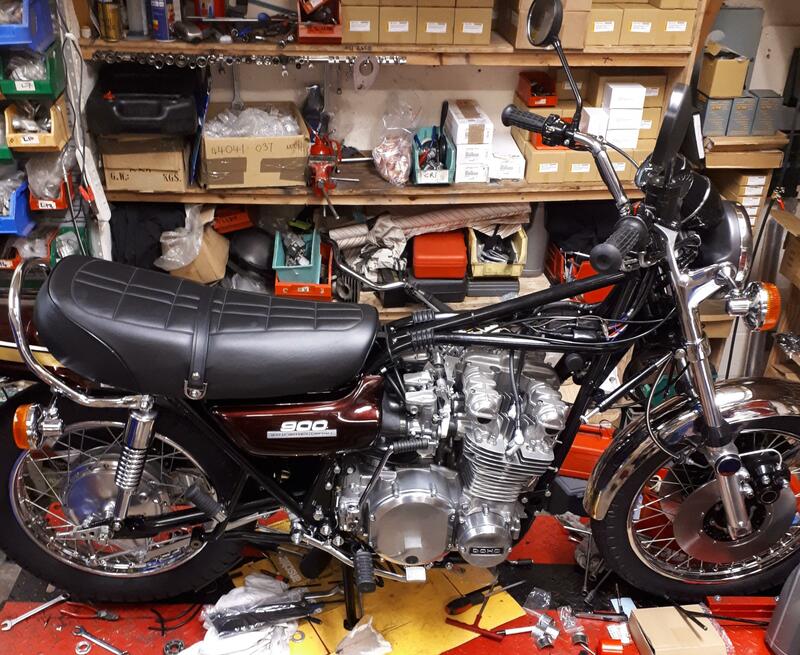 There is no end to what Pete can do; he will do a full bike restoration, just the engine, or just the parts that you need (switch gear, disks etc etc). He charges £60 to do a full strip down and restore on the solenoid, and they come back like this. 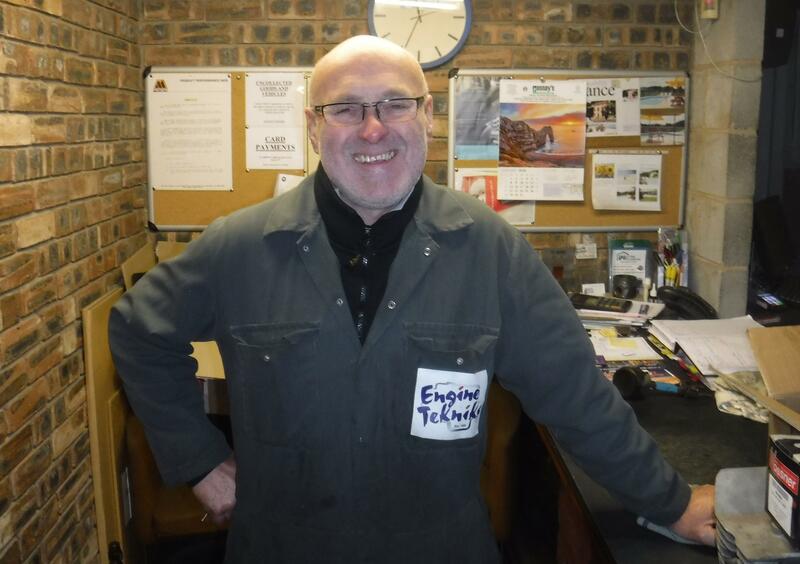 If you take your side panel off and it looks a bit of a tatty, then get in touch with Pete - you will not meet a nicer chap. Pete also brought the zinc plating back, so we could put the bottom end back together. 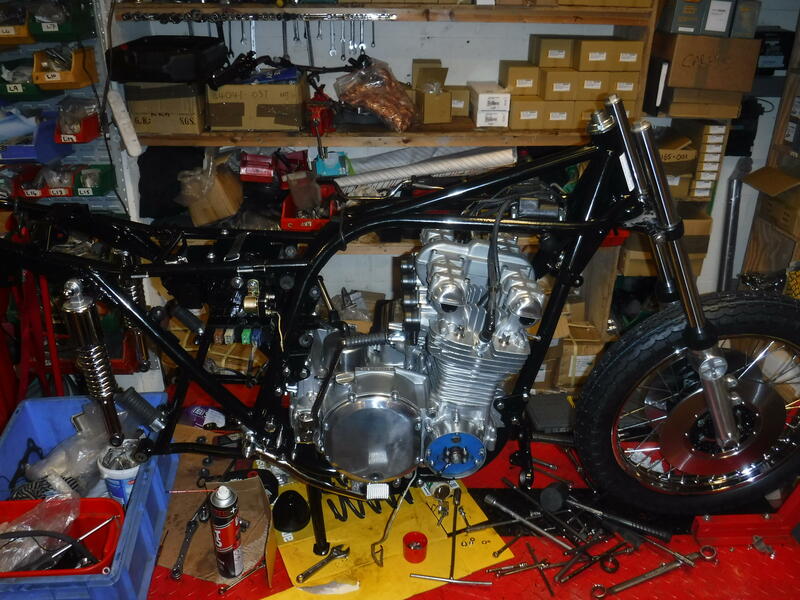 We also put the forks back together with new fork tubes (Fork Tubes) and Top bolts (Fork top bolts). As it happens, these had been rebuilt with progressive fork springs - it was what was in the bike when we got it. In theory should improve the ride a little. 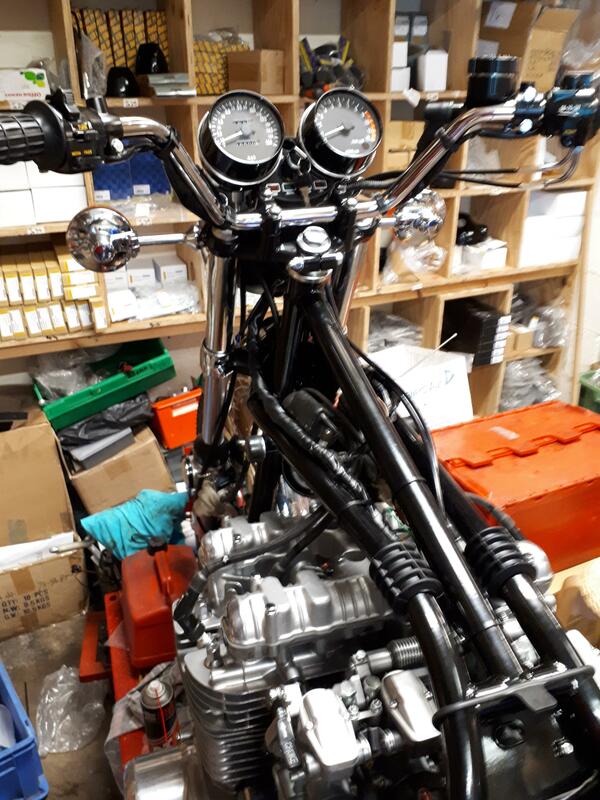 The top end is still with Paul, the frame is not back yet, and Dave is off to the US to ride a Harley for 3 weeks - it could be a bit before the next update. As you can see - it is a thing of beauty. The barrels are well within tolerance and freshly honed .The rings were just within tolerance, but for the sake of £100, whilst it was all in bits we thought it well worth putting a new set on (Z900 Pattern rings). The cam chain (Cam Chain), roller (Roller) and guide (Front Guide) we all replaced along with all of the rubbers (top idler rubbers idler rubber set) - these go hard over time and are well worth replacing to help damp down the idlers. 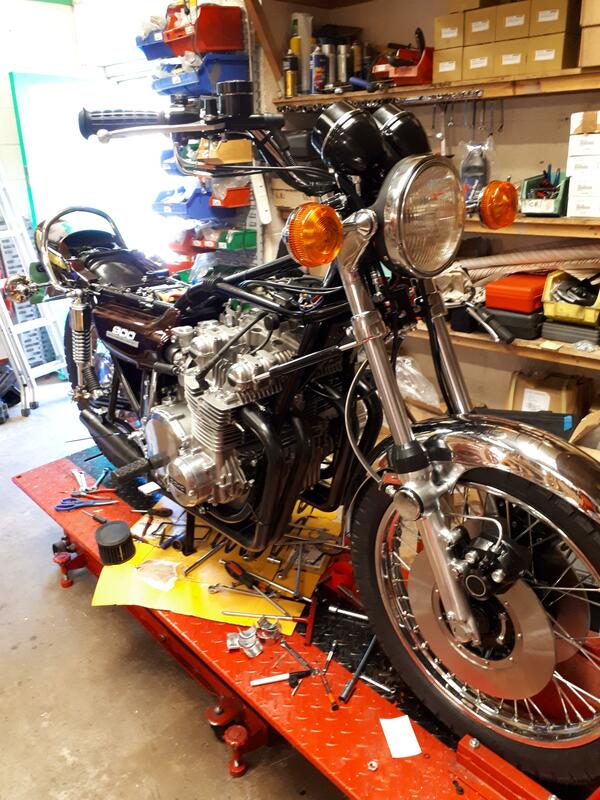 Consistent with the low mileage the bike has on it, thankfully the idlers were all OK (even using our Liska racing ones (Liska Idler) increases the cost of an engine rebuild. 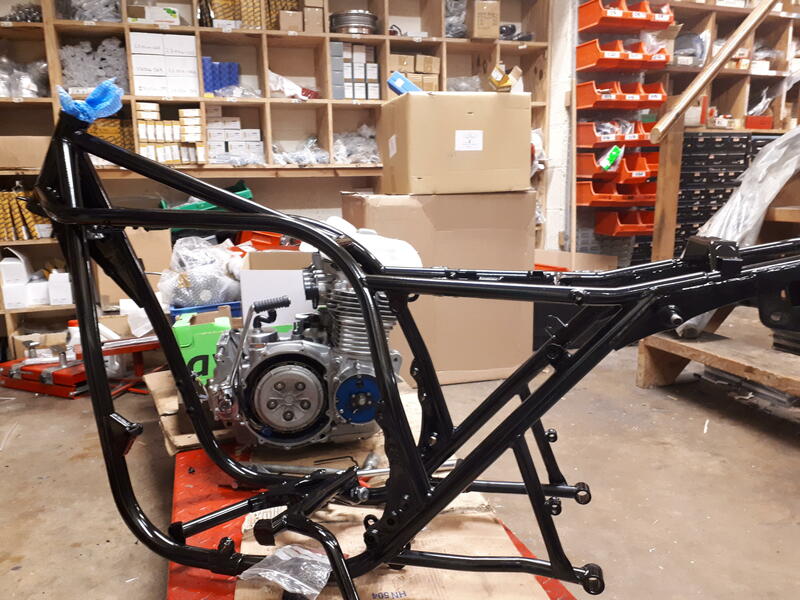 Now that the engine back together I need to chase up the frame from the jig, straightness checking then we can crack on with putting the bike back in one piece. We have also rebuilt the wheels. 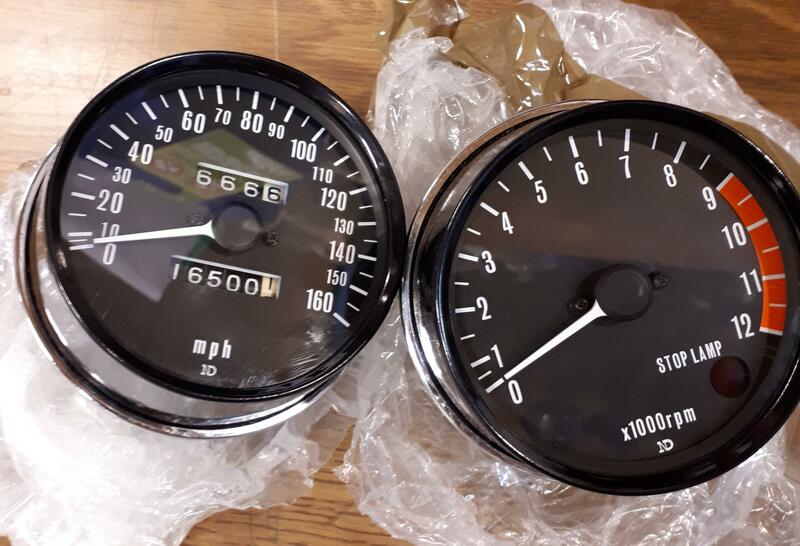 Going for the double disk setup again (we do a double disk conversion if you want to improve your braking [Full double disk], using our patent disks [Z1 disk] and replica spokes [spoke set] and will fit out patent calipers [Z1 Caliper]. The tab washers re-zinc plated up OK, so saved a few quid on new tab washers [tab washers]. 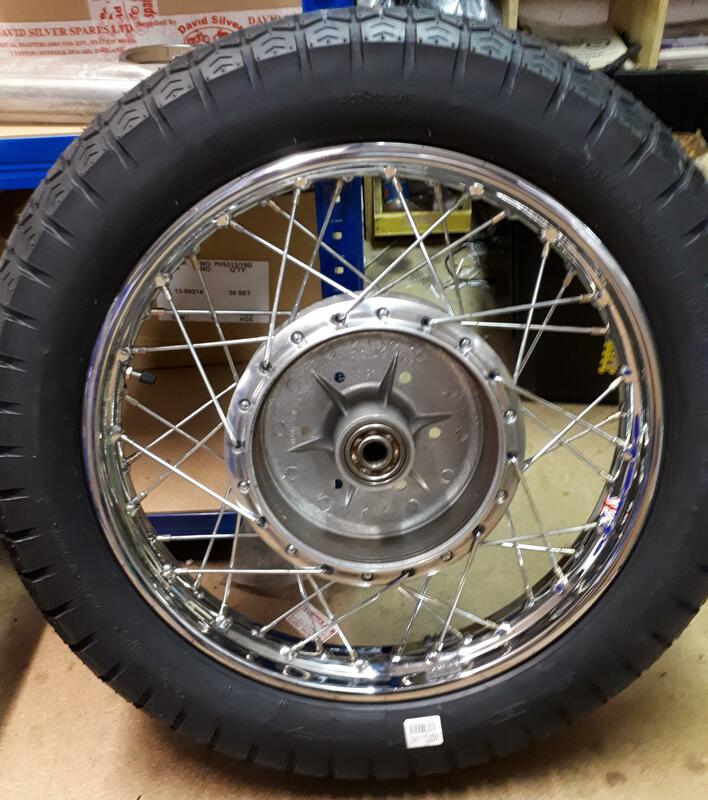 Decided to fit our original Dunlop tyres [Z1 Tyres]; this is always a tough call, if you are going to use it seriously then modern rubber certainly helps, but if you want the authentic look then the original tyres are a must. 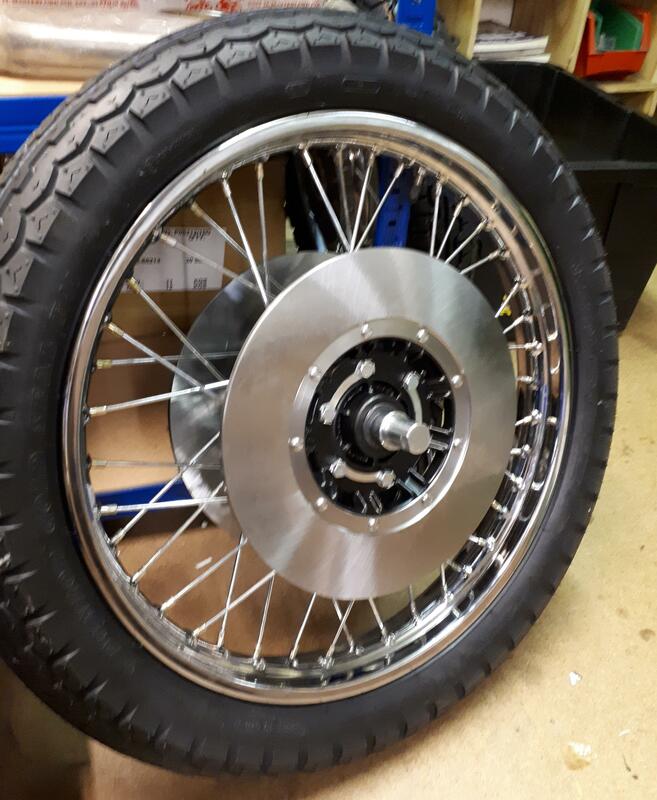 This time we have used our replica rims [Z1 rims]; getting wheel rims re-chromed is very expensive and unless the original ones are in good condition, they don't always come back as well as you may hope. The patent ones are a less expensive option and you do at least know that they will be "true". These have no visible stamping (like the DID ones) but you do need to remember that the back rim does not have any holes for the tyre grabbers [Grabbers]. 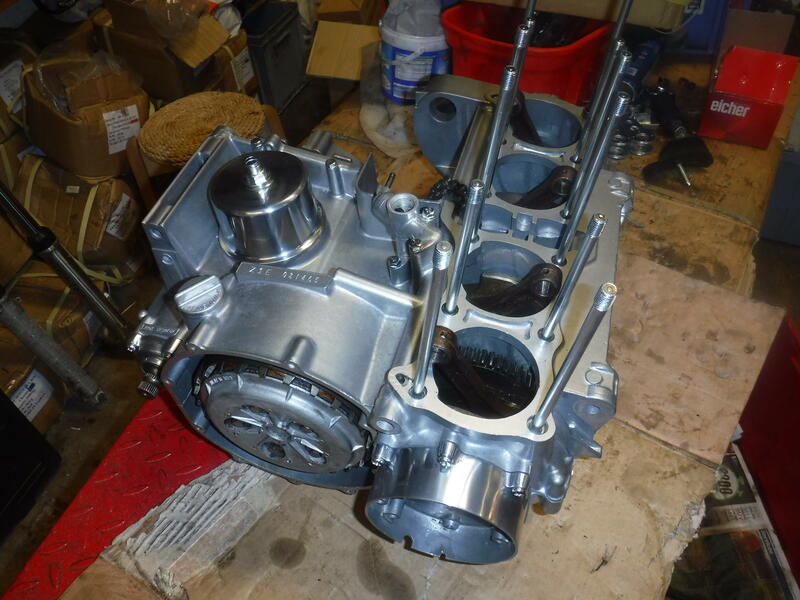 The carbs went to Paul Benton (07800 985123) for a full restoration. As ever, they come back looking like new and ready to bolt on to the bike. 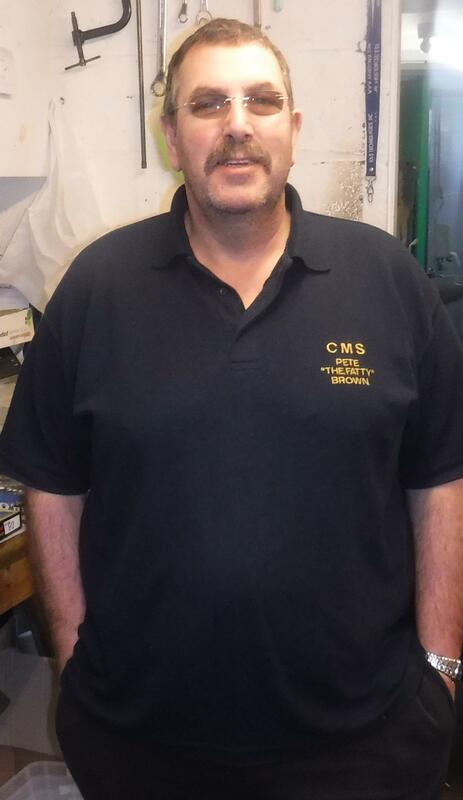 If you want Paul to do a restoration for you, just give him a call. Well the frame and the powder coating is back, just need to find the time to put it back together. 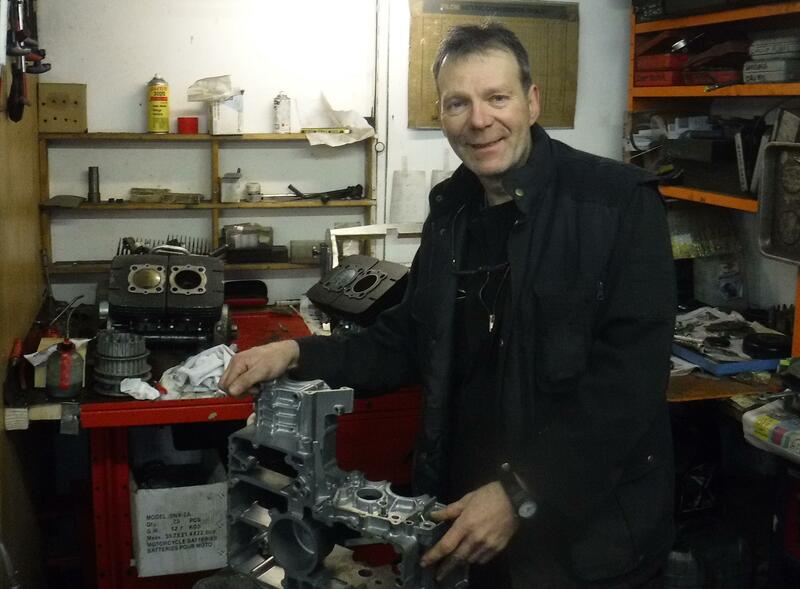 It has been very busy at Zpower, but we have had a free hour or so this afternoon, so the engine is back in the frame. It is much easier to lower the frame over the engine - one of the benefits of getting the engine done first. I think that half of our customers must go to the TT, so it has been a little quite and we have had the chance to try and finish it off. 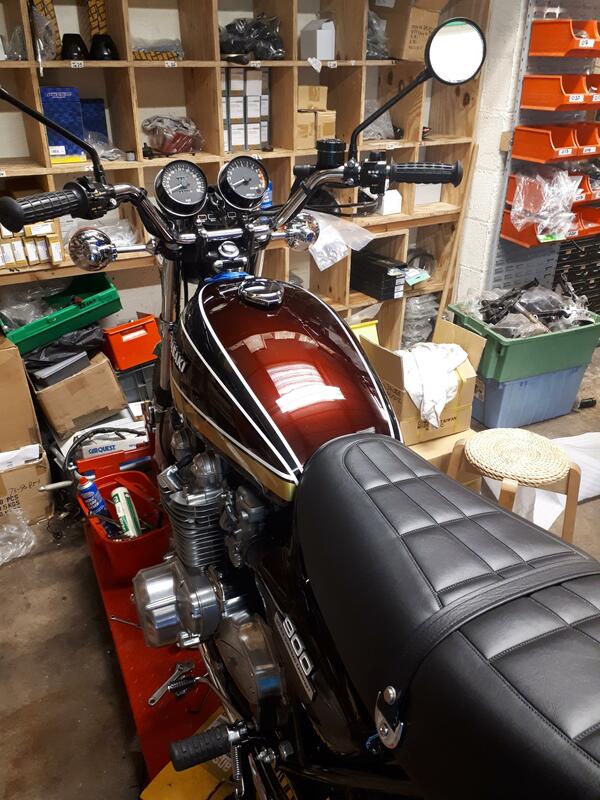 We bolted some old exhausts on and it started first time - so the Boyer will stay on (when we have worked out the best place to mount the box). 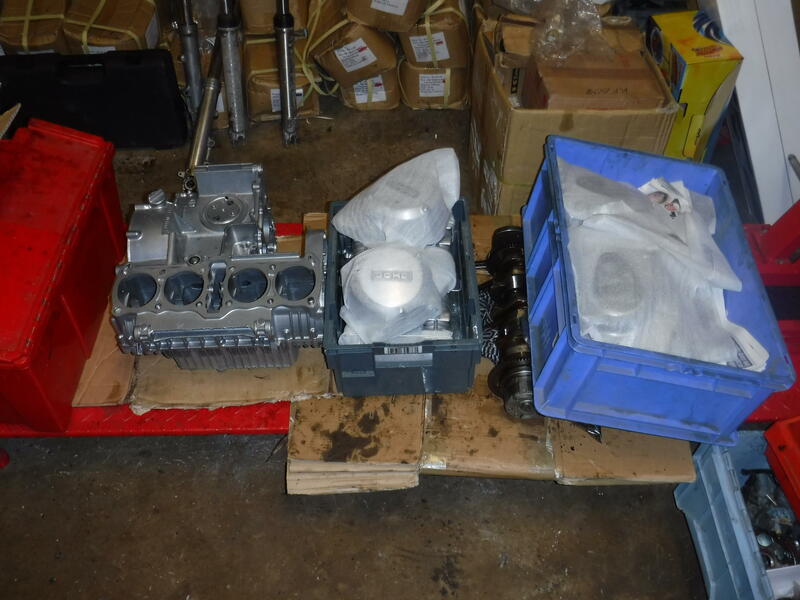 We will run it for a bit on the bench and see what leaks before putting the exhausts on and trying it out on the road. 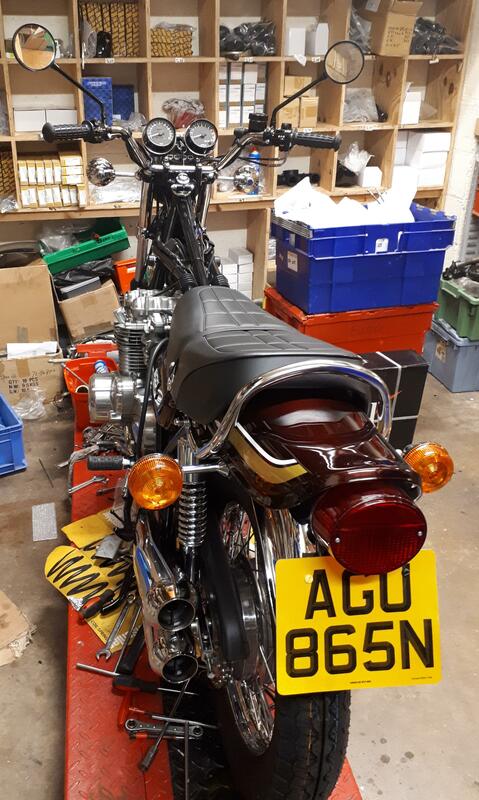 The seats are back in stock (Phil pinched the last one t hat was on it for a customer that was in a desperate rush) so now we just need ten mins to bolt the left hand exhaust on and fit the tank and we can see what it runs like on the road. Well we found some time over the weekend to come in and finish it off. 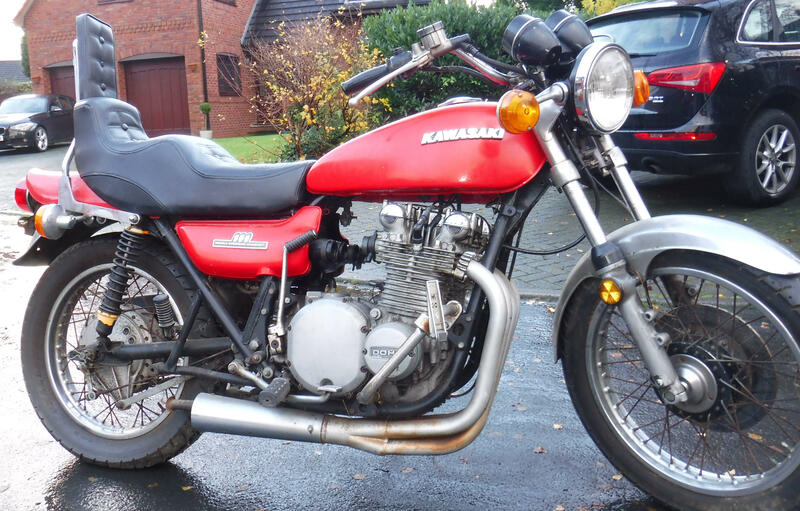 Just need to put some fuel in the tank and find a volunteer to take it out and put a few miles on it. This is still available - let us know if you are interested.